More sad news this week as we learn that British actor, Alan Rickman has died at the age of 69. He was battling with Cancer. 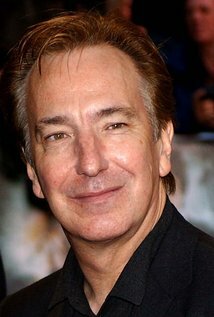 Rickman was best known with movie fans as the bad guy from Die Hard and ultimate hero of Harry Potter, Professor Snape. Geek fans will also remember him from Galaxy Quest. Best known for his roles as villains but his range and skills in acting brought him an acting career in various roles. His soft, vulnerable character in Richard Curtis' 'Love Actually' revealed to a larger audience that he could be more than a villain. Shakespeare was always close to his heart and actually began his career in a BBC adaption of Romeo and Juliet in 1978. Personally, one of my favourite characters from the Harry Potter movies was Snape. I'm currently reading the books by J.K. Rowling and of all the characters portrayed in the movies, Rickman's interpretation was the closest to the books. He was an amazing and talented actor and will be missed. Harry Potter author JK Rowling led the tributes, describing him as "a magnificent actor and a wonderful man". She wrote on Twitter: "There are no words to express how shocked and devastated I am to hear of Alan Rickman's death." She added: "My thoughts are with [Rickman's wife] Rima and the rest of Alan's family. We have all lost a great talent. They have lost part of their hearts." Thank you for your magic Alan.